When you choose to become Ace Merchant Processing independent contractor and you follow the personal "Ace Merchant Processing"
Earn 100,000+ in your first year! When you choose to become Ace Merchant Processing independent contractor and you follow the personal "Ace Merchant Processing", you can realistically earn a six figure income in your first year. Substantially increase that income each year thereafter! And it is also realistic that you can substantially increase your income each year thereafter through a combination of up-front and residual income. 80% of Merchants haven't upgraded to EMV terminals and can't accept NFC payments like Apple Pay. There has never been a better time to make money selling merchant services due to the need to upgrade all merchant terminals. You can make the most on every sale with our Agent / ISO Program. Ace Merchant is not just the "free terminal placement" leader but We'll optimize each & every merchant account so you can make the most money on every deal. Choose on a merchant-by-merchant basis to make the most money on every sale! We are proud to be your partner, and we're here to help you succeed. Follow our state of the art ISO training program along with your Accounts Rep's guidance and you will earn income immediately. The main source of up-front income is the sale or lease to the merchant of processing equipment. That's because credit card terminals are essential to processing transactions. Leasing terminals to merchants allows them to get started with no up-front or out-of-pocket expense. When you lease a terminal, the leasing company pays you a substantial commission. The sale of terminals to merchants is another option that satisfies the need for transaction equipment. 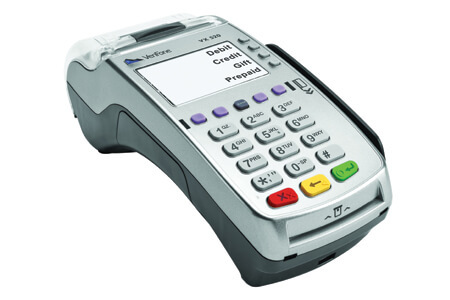 When you sell a new or refurbished terminal, Ace Merchant Processing pays you a substantial commission on that sale. Equipment specifications and their benefits are included in the training materials. Also, your Accounts Rep will always be available to help you match the appropriate terminal to the merchant's needs. An application fee is another way to earn up-front income. After you have convinced a prospective merchant to choose Ace Merchant Processing as their new transaction processor, an application is required to obtain approval to initiate the action. Typically, a merchant pays an application fee when they sign up. We pay 100% of Application Fees charged to Merchant to our ISO's. A set-up fee is an additional way to earn up-front income. Each time you sign up a merchant, you are entitled to receive a set-up fee from American Express, Discover Card, and Diners Club when the merchant agrees to accept their cards. This incentive to you is one way that American Express, Discover Card, and Diners Club encourage recognition and usage of their cards. Each method of income generation is viable and ongoing. When combined, you have the potential to create a considerable annual gross income, even in your first year. Ace Merchant Processing offers extremely lucrative conversion bonuses in the industry. If you already possess a merchant portfolio, this is an unmatched opportunity to capitalize on your existing accounts. By taking advantage of our Conversion Bonus you can earn up to $250 per account depending on the processing volume of each merchant! This bonus provides you with the perfect opportunity to turn an existing portfolio into a substantial, immediate source of revenue. per month based on the number of new merchants signed up in that time. Ace Merchant Processing is constantly enhancing our ISO program with new bonus opportunities to help our sales agents become as profitable as possible. Our latest initiative is the Production Bonus, which will reward you with an additional bonus of up to $2,500 per month based on the number of new merchants signed up in that time. This is an excellent opportunity to augment your residual payments and could provide an extra $30,000 per year in income! Upfront Bonus /Conversion Bonus/ Production Bonus – Restrictions & Terms /Conditions Apply. The key advantage of the our ISO Program is the opportunity to earn residual income. Every time you sign up a merchant for processing services, you begin to earn income. What that means is that each time a purchase transaction occurs at a merchant you have signed up for Ace Merchant Processing merchant services, you make money - from each transaction - month after month - with little or no further effort required by you. This is very important and worth repeating. YOU EARN INCOME FROM EVERY TRANSACTION THAT OCCURS AT EVERY MERCHANT YOU SIGN UP FOR Ace Merchant Processing'S PROCESSING SERVICES FOR THE LIFE OF THE ACCOUNT. This is a powerful concept! With each new customer, you add to the total residual income you are entitled to every month. The more relationships you build with merchants, the greater your income potential. Within a relatively short period of time, Our ISO Program will have you passively accumulating more money than most people earn in a year. Best of all, residual income keeps coming, month after month and transaction after transaction, as long as you remain an independent contractor for Ace Merchant Processing. The day may come when you wish to spend less time developing merchant relationships and more time developing Accounts Rep/trainee relationships. Whatever you choose makes no difference: You will continue to receive the monthly residual income you have established for yourself. Picture this image: You're standing in line at a retailer you recently signed up for Ace Merchant Processing's processing services. Everyone ahead of you is using credit cards to pay for their purchase. For every swipe you see, you receive a piece of that sale. With this in mind, aren't you convinced that the "ISO Program" is the most lucrative independent contractor opportunity in the country? We firmly believe that our ISO Program is the most outstanding income-generating opportunity available today. Also, once you have mastered the skills necessary to succeed in this industry without the help of your Accounts Rep, you will have the opportunity to become a Accounts Rep.
As your Accounts Rep, you help others achieve the success you've reached, plus you have the opportunity to dramatically increase your income. We provide three residual options for every approved account. If you place a terminal and/or receive an Upfront Bonus you will receive ongoing residuals between 50% and 65% on every approved account. 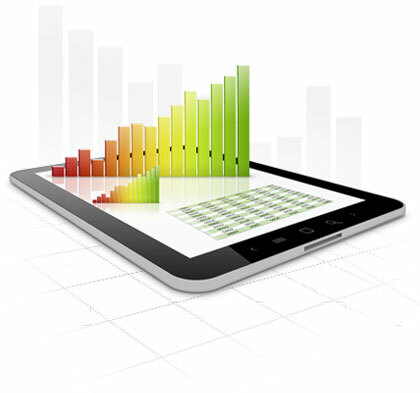 The percentages increase between 50% and 65% based on your monthly production. Earn a 60% split by opting for a smaller upfront bonus or by opting out from using our free terminal program. If you choose not to place a terminal and not to receive an Upfront Bonus, you can participate in our 70% Revenue Sharing Program. Residual Program Rates are negotiable with # of Accounts commitment.